We caught about 15 minutes of “Real Housewives of Beverly Hills” cast member Kyle Richards on HSN Tuesday night, as she hawked the apparel collection she did for the home shopping network. To be honest, we weren’t thrilled with the clothes, but Richards struck us as very gracious and down to earth. We know she has her detractors: We heard from them when we first blogged about Richards doing a line for HSN. But we kind of like her, as did, apparently, HSN shoppers. Her entire collection, we believe eight items, all sold out. Two former HSN jewelry vendors are involved in some nasty litigation. Gothish rock-star jewelry designer Loree Rodkin, whose pricey baubles we adore, has filed suit against reality TV stars Lisa and Brittny Gastineau, the former wife and daughter of ex-New York Jets player Mark Gastineau, according to JCK online and TMZ. Rodkin, who had done jewelry for folks ranging from Steven Tyler to First Lady Michelle Obama, alleges that the Gastineau gals copied some of her pieces. And Rodkin apparently doesn’t believe that imitation is the sincerest form of flattery. 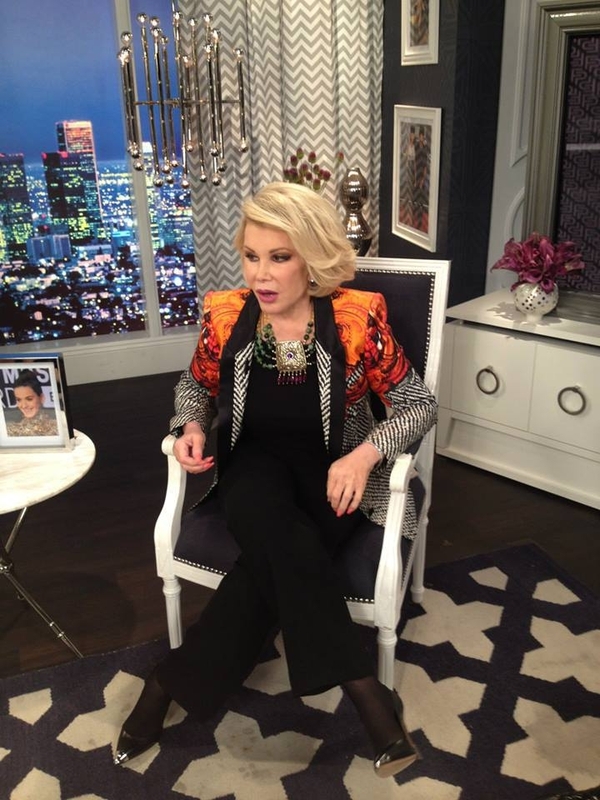 A while back Rodkin and the Gastineaus were both doing jewelry collections for HSN. But let us make this very clear: Rodkin’s lawsuit, filed in Cali, doesn’t involve the Gastineau’s HSN line. The suit cites the Gastineaus’ Tres Glam collection, which is sold at Roseark retail stores. The Gastineau girls denied that they are violating Rodkin’s copyrights. She thinks differently. Today beloved HSN host Colleen Lopez gained a daughter: Her son Carlos married Christie Beslock in a destination wedding in Puerto Rico. We can’t wait to see the wedding photos that we expect proud mom and new mother-in-law Colleen will post. Her son is handsome and his bride is a gorgeous blonde. We’ve heard Colleen say on-air that Christie is like the daughter she never had, which is really heart-warming. 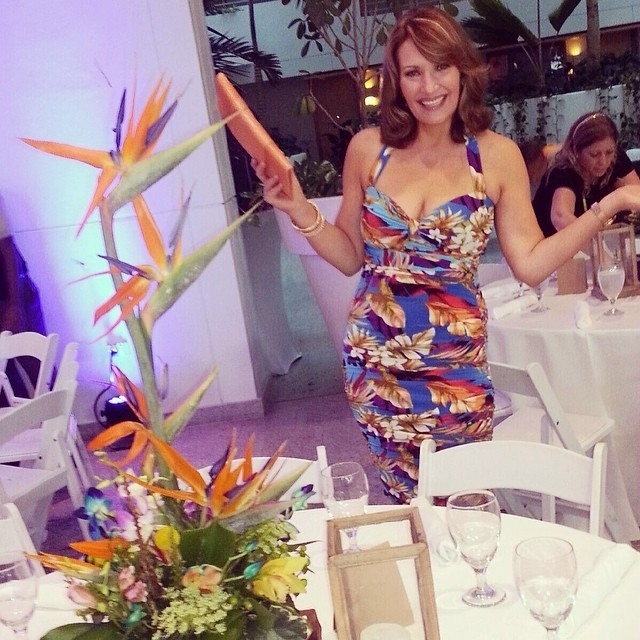 Why Puerto Rico for the nuptials? Well, in case you don’t know, Colleen’s husband is of Puerto Rican descent, just like we are. QVC is heading out to the Left Coast for the fifth consecutive year to broadcast for the awards season with “Red Carpet Style — Live from L.A.” Miss Piggy and Lisa Rinna will be among those on hand (aren’t they the same person?). The three-hour program will air next Friday from 9 p.m. to midnight, televising from the Wetherly Gardens at the Four Seasons Beverly Hills. For this shindig QVC jewelry vendor and E! Network’s “Fashion Police” host Joan Rivers will be on the carpet with designers Lori Goldstein, Dennis Basso, Mark Zunino, Bob Mackie and Isaac Mizrahi. Nicole Richie and Rinna, along with celebrity stylist Jen Rade, will introduce new items as well. 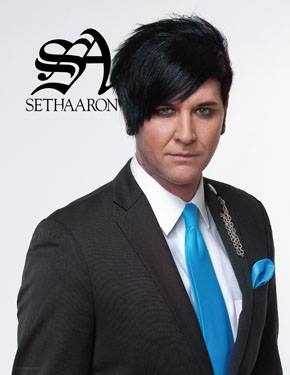 Additionally, as part of QVC’s collaboration with Lifetime’s “Project Runway All Stars,” Season 3 winner Seth Aaron Henderson will join the lineup at this star-fest. Henderson will present two new styles from his QVC collection, which had three sellouts in its January debut. The program will mark the debut of Styled by Joe Zee, a collection from ELLE magazine Creator Director Joe Zee. Oy vey! Miss Piggy – star of “Muppets Most Wanted” – will be showing off her Haute Tote, the VIP gift bag she created for the event. A consumer version of the bag will also be available for purchase on QVC.com. But wait — there’s more, much much more. JAI John Hardy will be presenting new croco-textured jewelry styles, and there will be diamond pieces from Michael Beaudry and Bronzo Italia designs. On the beauty front, QVC will have Edward Bess, bareMinerals, Kate Somerville and Sarah Potempa. Rivers’ cohort on “Fashion Police,” George Kotsiopoulos, will serve as the QVC red carpet correspondent, interviewing celebrities as they arrive and encouraging guests to share pictures using #QVCRedCarpet. Highlights of those images will be displayed throughout the gardens via the DELLInstaGallery, which consists of multiple gallery-style walls featuring digital screens for a unique social sharing experience. Finally, the InstaGlam Suite powered by HALO, a leader in portable power, will be a hub for social networking within the event and will be hosted by fashion personality and television host Jeannie Mai. HSN ended last year with a slight increase in revenue, posting a 2 percent gain in net sales in the fourth quarter, to $697.4 million, the home shopping network said Thursday. For the full year 2013, HSN’s net sales were up 2 percent, to $2.31 billion. “Throughout 2013, we successfully managed the company to position us for long-term growth,” HSN CEO Mindy Grossman said in a canned statement. “We kept our focus on the customer, emphasized our unique content and proprietary products, strengthened our digital platform, further leveraged opportunities and synergies across the HSN and Cornerstone brands and returned value to our shareholders by delivering nearly $200 million through share repurchases and cash dividends,” she said. In the fourth quarter, HSN’s digital sales increased 7 percent, with penetration rising to 39.5 percent. Gross profit rose 3 percent to $230.6 million. Gross margin increased 20 basis points to 33.1 percent, primarily due to lower inventory reserves. Operating expenses (excluding non-cash charges) increased 1% to $142.6 million and were 20.4 percent as a percentage of net sales compared to 20.6 percent in the prior year. Adjusted EBITDA increased 5 percent to $88.1 million compared to $84.0 million in the prior year primarily due to the 2 percent increase in net sales and the 20 basis point increase in gross margin, partially offset by an increase in operating expenses. Operating income saw a 4 percent gain, to $77.9 million compared to $74.7 million in the prior year. For HSN Inc., which includes the home shopping network and the Cornerstone unit, net sales grew 4 percent over the prior year to $1 billion. We used to watch bling king Charles Winston on other home shopping networks, namely HSN and ShopHQ, if memory serves us correctly. Why has he become so damn annoying on Jewelry Television, here he hawks his Moissanite jewelry line? His not-funny attempts at humor are cringe-worthy, so much so that we feel sorry for JTV’s hosts. They seem ready to kill him at times. We don’t blame them. It looks like the two top home shopping networks have gone on a hiring spree, bringing new hosts on board. One of our observant Facebook friends tipped us of that QVC had put Alberti Popaj, a former spokesman for Alterna Haircare, on its payroll. We haven’t seen him on-air yet, but he sure looks like a jovial sort. Our Facebook friend also said that Stacey Weaver is on tap on a new QVC host. Popaj posted a shot of him and Weaver, as well as him and Lisa Robertson working out together, on Facebook. Neither Popaj or Weaver are listed as hosts on QVC.com yet. 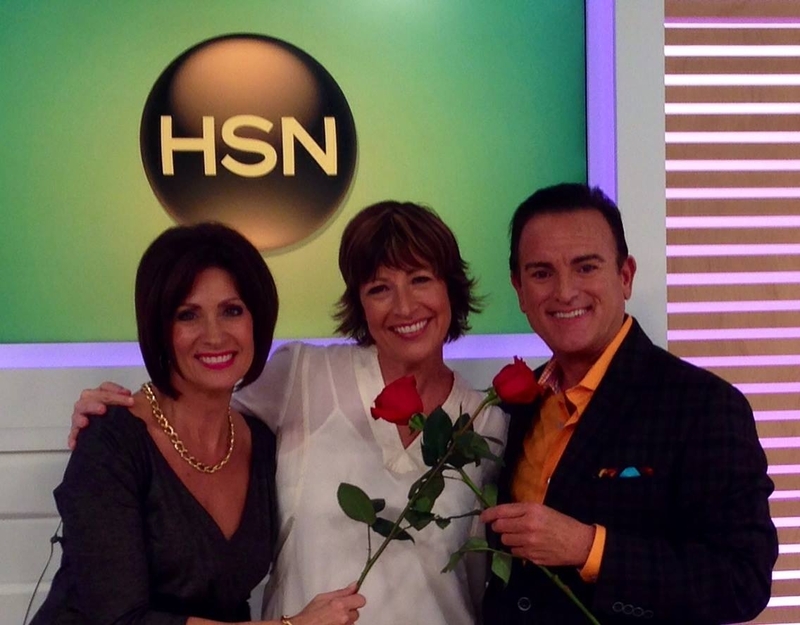 And over at HSN, it looks like Karen Pavlik is a new host. Or that’s what we take from a photo of her that hoist Bill Green posted on Facebook. Don’t know anything about her yet. ShopHQ will release its fiscal fourth quarter and full year 2013 results after the market closes on March 5, the home shopping network said Wednesday. Management will host a conference call/webcast to review the results at 4:30 p.m. the same day. CEO Keith Stewart, President Bob Ayd, Chief Financial Officer Bill McGrath and Chief Operating Officer Carol Steinberg will participate in the call. The call and webcast are open to the general public. What next, the Simpsons on QVC? 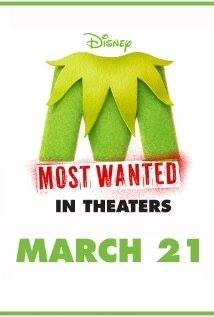 Miss Piggy, star of Disney’s “Muppets Most Wanted,” which will debut in theaters March 21, is also set waddle down the red carpet during the broadcast Feb. 28 at 9 p.m., when her tote will be showcased. Some perky QVC PR person came up with this quote for Miss Piggy. Entrants have the chance to win prizes ranging from QVC gift cards and Muppet merchandise to a trip to the Disney’s “Muppets Most Wanted” premiere. How are you doing, Doug? ShopHQ on Tuesday will be airing a line we’ve never seen before — Dine Spirit, which is a collection higher-end handmade Southwestern silver jewelry. The pieces in the 2 p.m. show include a lot of Sleeping Beauty turquoise and spiny oyster shell, with one large necklace priced at $822. Discover the artistry of the Navajo people with Diné Spirit – a jewelry collection that embodies the true Native American spirit. Handmade in the Southwest and crafted in sterling silver with American turquoise and other fine genuine gemstones, each piece is an individual and unique work of art. The Navajo people, or Diné as they call themselves, have a rich history in creating beautifully ornate and artistic jewelry. Combining modern techniques with traditional Navajo silver-smithing methods, Diné Spirit both illustrates and transcends beauty. Common to the Navajo way, each piece is meticulously created one-at-a-time in the homes of skilled artisans, with the artist’s name engraved on every item. Instantly recognizable, Diné Spirit features a variety of Southwestern details, including complex engravings, scrollwork, floral shapes, oxidation and more. Genuine gemstones native to the Southwest take center stage in each design, bringing color and personality to the pieces. Add authentic, handmade Native American jewelry to your collection with Diné Spirit. Dan Hall, “the Turquoise Cowboy,” is a well-known Design Coordinator in the Southwest recognized for his extensive knowledge and experience in the turquoise and jewelry production businesses. Dan broke into the industry while traveling to Australia to mine opal. He later became a jeweler at a local store in Scottsdale and over the years, has designed and sold his own jewelry in Santa Fe Square, NM. Dan continues to have close ties with many domestic turquoise producers. Having worked with some of the best Navajo artisans, he continues to be an asset in educating others about the creation and design of Navajo jewelry. You are currently browsing the Homeshoppingista's Blog By Linda Moss blog archives for February, 2014.